We are just a few weeks away from Christmas… I would love to know if anyone has fully completed their Christmas shopping?! I have not, and to be honest; I am not sure if I even want to go through all that just yet! However, I will say I do have a lot of fun online shopping and rounding up my gift ideas for you guys😉. It’s window shopping at it’s finest, and with every gift guide, my wish list gets longer (I really want the new APL Athletic Shoes)! 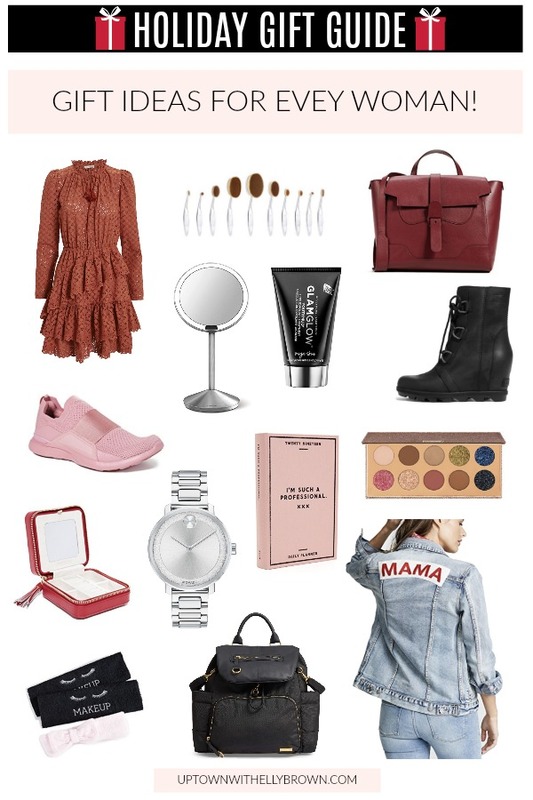 I had so much fun curating today’s gift ideas for her, that I think I am actually just going to hand over this post to JB, LOL. Just like in my ‘Gift Ideas for the Homebody‘ post, I’ve broken things down into categories so you can easily find something. Whether you’re shopping for your mom, gal pal who is a wanderlust, or looking for splurge-worthy gifts it’s all here. There is even a $50 and under category! I hope you enjoy my gift ideas for her! Have fun shopping.